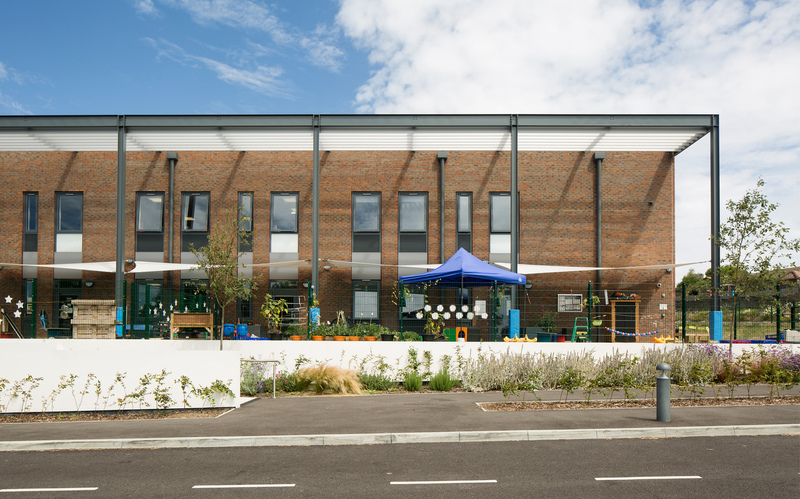 ECE were able to successfully negotiate the planning process and integrate the existing secondary school with the new primary school, delivering a free-flowing “early years’ foundation village”. 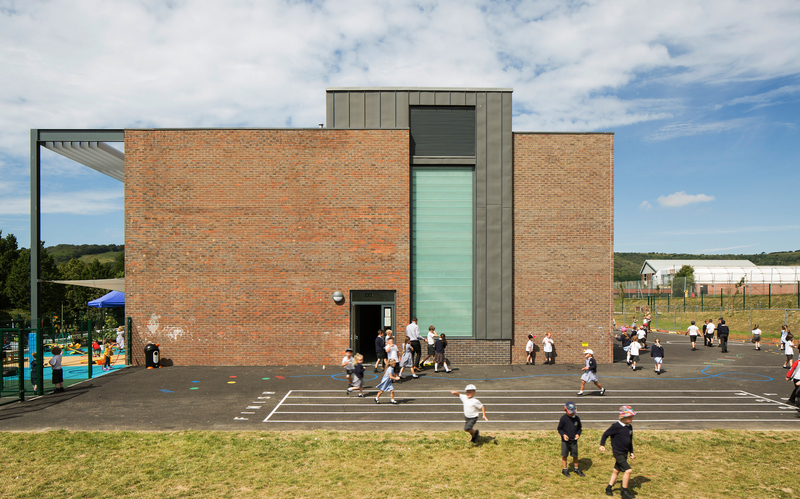 ECE worked closely with ESCC Early Years specialists and the school, using their extensive knowledge of school design, to negotiate site wide improvements with Sport England. 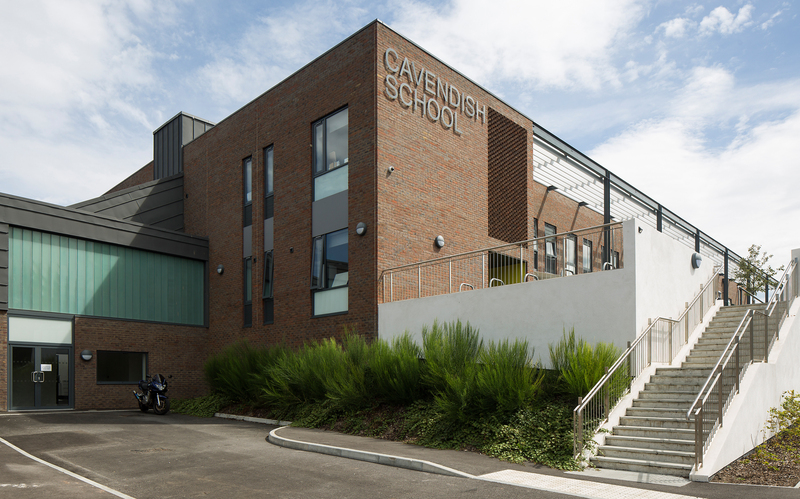 The new primary school is designed to combine with an existing Cavendish secondary school to form a new ‘all through’ school. The full space compliment across the entire all through school has been reviewed by ECE to ensure that the remaining secondary and new early years and primary areas all combine to work with maximum efficiency and effectiveness. Working in close collaboration with the school we have achieved an arrangement which both provides the primary years to greater access to specialist teaching space and opportunities for vertical learning. 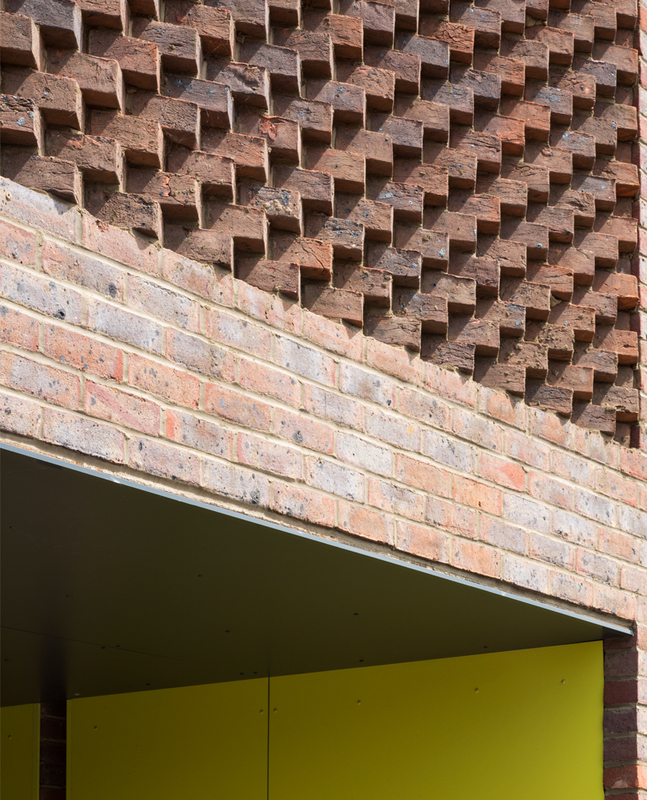 The Foundation Stages are to the front of the new building with strong internal links between reception and nursery. Key Stage 1 are to the rear of the ground floor with a large play area that spills out onto the existing playing fields. Key stage 2 is on the first floor and will share play spaces with the Key Stage 1 on the ground floor. 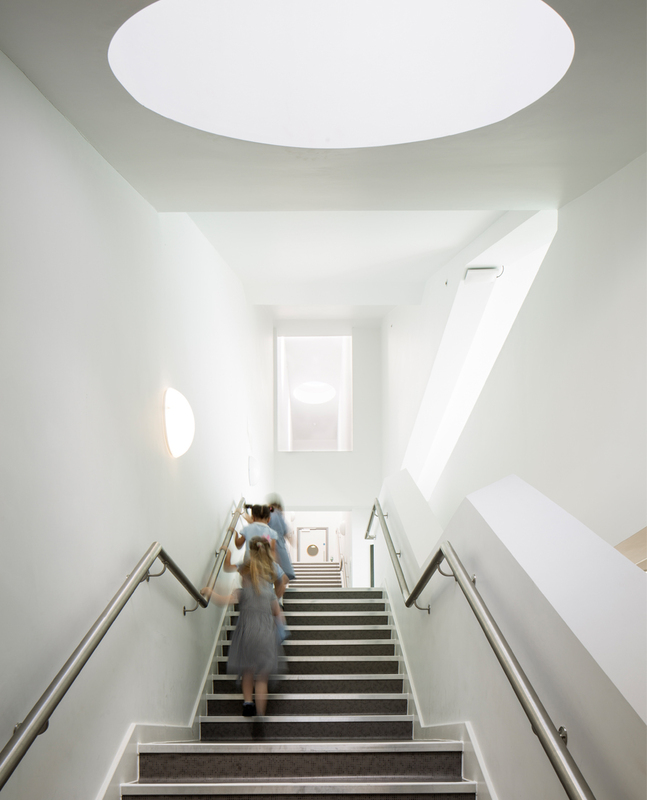 All classrooms are accessible from the main circulation spine at ground and first floors revolving round the central library / learning zone, which is to be the hub around which the school day operates. 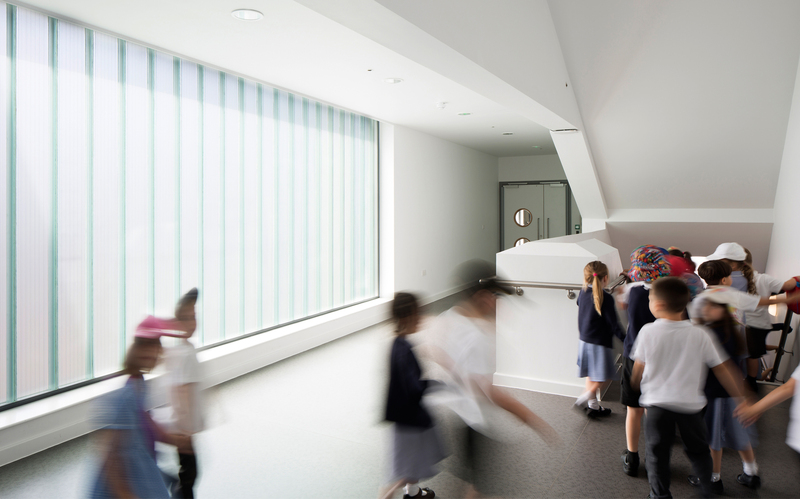 Ground floor classrooms have external doors that open out directly onto play spaces. The dining area within the secondary school is being refurbished and enlarged to be used by the whole school. This will become the heart of the new all-through school. 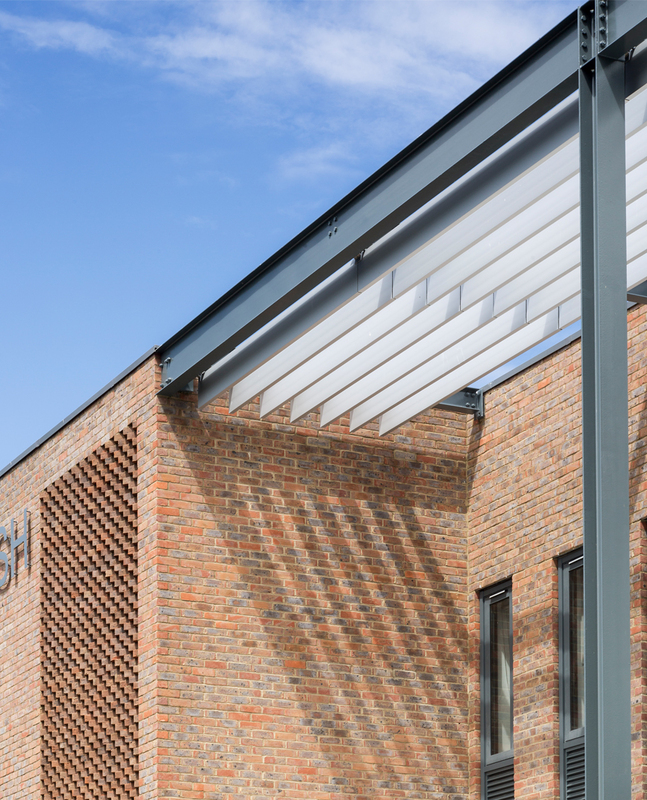 A special two storey link has been designed to provide a fully accessible circulation route between the new primary school and the existing adjacent secondary school already on the site. 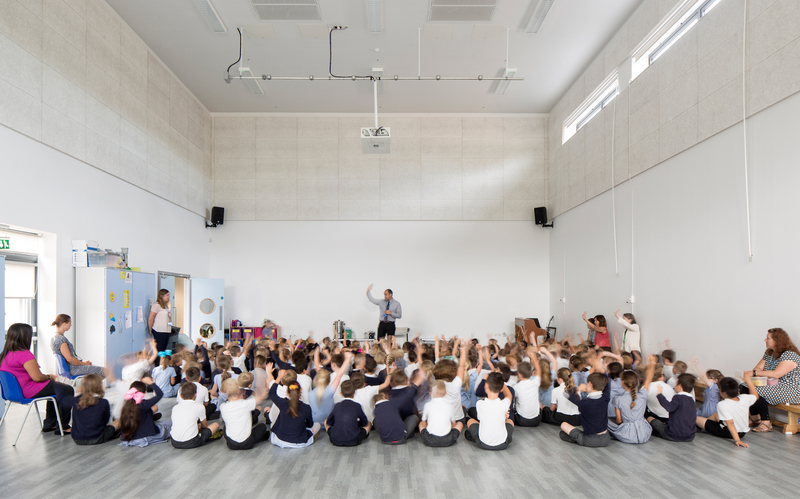 In response to an urgent need for school places and with a tight budget and time scale ECE were able to successfully negotiate the planning process and integrate the existing secondary school with the new primary school, delivering a free-flowing “early years foundation village”. 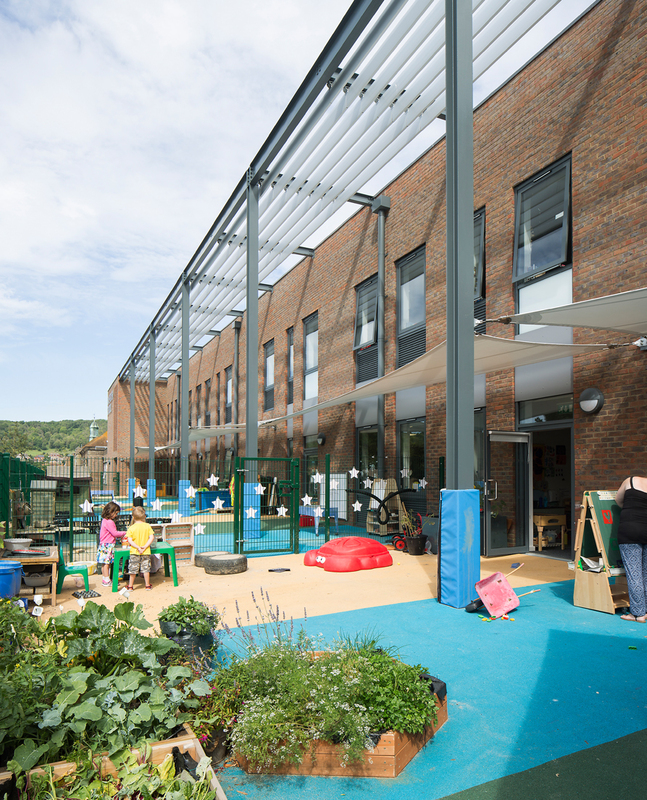 ECE worked closely with ESCC Early Years specialists and the school, using their extensive knowledge of school design and negotiating with Sport England to get the best outcome for the client.